And so we come to J.D. Salinger’s Glass family, or at least the two major published works featuring them. As noted in my previous post, Salinger introduces some members of the family (most notably Seymour in “A Perfect Day for Bananafish”) in Nine Stories but it is in these two volumes — a longish short story and three novellas — that they are most fully developed. Les and Bessie Glass were a well-travelled vaudeville team (song, dance and patter) who retired in Manhattan in the 1920s when Bessie figured out that two-a-day performances were being replaced by four-a-days that were little more than bridges between films. Les went into “ministration” for the rest of his life; Bessie concentrated on raising (some would argue “disrupting”) the family. There were seven Glass children — Seymour, Buddy, Boo Boo, twins Walt and Waker, Zooey and Franny (born 18 years after Seymour). One of their claims to fame is that for the better part of two decades, starting with Seymour, at least one of the Glass offspring (and often two) was featured prominently on the national radio show “It’s A Wise Child”, a precursor to the awful reality television of today. This exposure played both to the considerable intelligence of all seven and, perhaps even more, their annoying egos. If you don’t like one or all of the Glass offspring (and many don’t), it is safe to assume that “It’s A Wise Child” helped develop that dislike. “Franny” is the short story of these four works (43 pages). Salinger is rightly noted for his realistic dialogue, but this work is the other side of the conversational coin — while it is effectively an extended exchange between college student Franny and her boyfriend Lane at lunch before the Yale football game, it is really an example of two monologues that never once manage to actually intersect with each other. She not only does not snap out of it, things get much worse. Franny is preoccupied — and has been for some time — with a tract, “The Way of a Pilgrim”, about a Russian peasant who “starts out walking all over Russia, looking for someone who can tell him how to pray incessantly.” He eventually finds someone and his purpose then changes to getting others to pray incessantly. It is readily apparent that Franny is a practising convert to the cause. None of this matters to Lane, whose own preoccupation is with a paper he has just completed attacking Flaubert, which scored an A and which he is now contemplating publishing. Franny makes half-hearted, unsuccessful efforts to pay attention and comment; Lane’s attempts to understand her preoccupation are equally half-hearted and fruitless. The weekend ends in disaster. 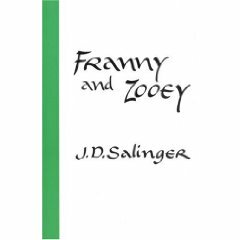 While “Franny” is complete as a story, it is in fact a prelude to “Zooey” but it takes some pages into that novella before we discover that. Zooey is a 25-year-old actor whom we meet soaking in the bathtub, reading an extended, ancient letter of advice from his brother Buddy, and getting ready for a business lunch with a producer. Bessie intrudes (an action we are given to understand is not uncommon) and directs her own lengthy monologue at him, eventually getting to her main point that she wants Zooey to speak with Franny, who has been moping around the place ever since the football weekend and is now ensconced asleep on the living room couch. That’s your summary of the Glass family. Brilliant observors, brilliant talkers (or perhaps expounders). Seymour, the departed genius who continues to dominate them all. Buddy, the chronicler who narrates all these stories. And at the youth end, Zooey and Franny, marked forever by their two eldest siblings. There are only sparse references to the middle three siblings. It is true there is a lot of confusing Salinger-spirituality that intrudes along the way, although that neither attracts nor disturbs me. His observational capacities and the ability to articulate them are what forms the brilliance of Salinger’s work for me. I’m going to give the last two novellas short shrift here. 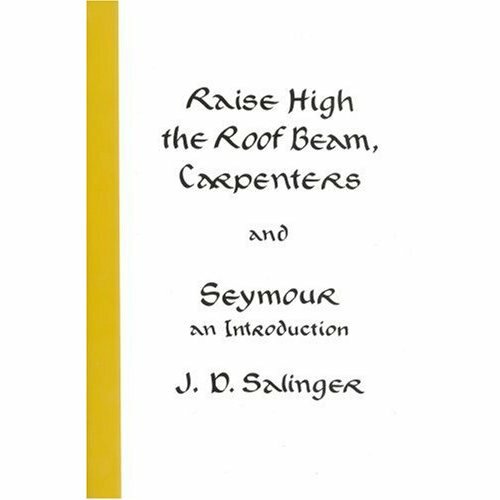 If you are intrigued by the Glass family after Franny and Zooey, you will find Raise High the Roof Beam, Carpenters and Seymour, An Introduction an intriguing read. If you think they are a bunch of annoying spoiled brats, you will want to give it a miss. The narrative for Carpenters is the story of Seymour’s wedding day in 1942, even more of a disaster than the football weekend. Yet Salinger uses it as a set piece for an intriguing look into New York and its characters of the day. Seymour, An Introduction is actually more about Buddy than it is about Seymour — it consists of his musings about the legacy Seymour has left (184 short poems in addition to his impact on all his brothers and sisters) and Buddy trying to decide what to do with them. Given that Buddy is also Salinger’s alter-ego, there is a fair bit of perceptive author observation in this one as well — fans of The Catcher in the Rye will find some very interesting thoughts. Whatever their differences in mood or effect, [the two novellas] are both very much concerned with the character of Seymour Glass, who is the main character in my still-uncompleted series about the Glass family. It struck me that they had better be collected together, if not deliberately paired off, in something of a hurry, if I mean them to avoid unduly or undersirably close contact with new material in the series. There is only my word for it, granted, but I have several new Glass stories coming along — waxing, dilating — each in its own way, but I suspect the less said about them, in mixed company, the better. Oddly, the joys and satisfactions of working on the Glass family peculiarly increase and deepen for me with the years. I can’t say why, though. Not, at least, outside the casino proper of my fiction. With that, J.D. Salinger headed off into seclusion in New Hampshire — only a long and confusing story in the 1965 New Yorker (a letter from seven-year-old Seymour at camp) has been published since. We know from various sources that Salinger kept on writing. We don’t know with certainty whether any of those manuscripts were saved. And we certainly have no idea what thoughts the author left about posthumous publication. Some of us (that would include me) are hoping to see further works. Other readers speculate, with some passion, that whatever got written later probably continued a trend towards increasing impermeability. Like the author, I certainly regard the Glass saga as a work in progress, one that already provides significant insights and rewards. I haven’t been holding my breath for almost a half century in anticipation; but that does not decrease my desire for more one bit. Perhaps now, with Salinger’s death, we shall see if there is still more to come from one of the twentieth century’s most outstanding writers. While I admire all four published volumes of J.D. 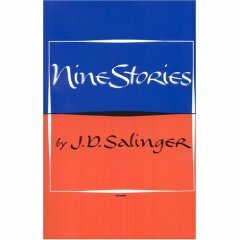 Salinger’s work, Nine Stories has always been my personal favorite. The Catcher in the Rye is certainly better known and has sold more copies, but this story collection has a special attraction. I take it off the shelf every few years and within a sentence or two, for every story, I find myself back in the world that Salinger created for that story. It seems a fitting place to begin my two-part tribute to an author whom I first read as a student and have revisited with considerable reward and pleasure many times since. The first story, “A Perfect Day for Bananafish”, introduces us to Seymour, the eldest of the seven Glass family children who will dominate the rest of Salinger’s restricted publishing career. While not every one of Nine Stories (published as For Esme — With Love and Squalor outside of North America) involves a Glass, a number do directly (and some of the others I wonder about). And they all show Salinger’s considerable strengths. Note the italics — Salinger underlines words in his conversations. Note the dashes — his characters often don’t get to finish their sentences. We never do find out what the old “awful” name was; the new one is “Miss Spiritual Tramp of 1948”. After one reference, it too is never mentioned again. “I don’t see any,” Sybil said. Sybil does see a bananafish, the two part and (SPOILER) Seymour heads to his room and “fired a bullet through his right temple.” End of story. For those of us who know the Glass family well, nothing that we will learn further on is a surprise. In 1928, when I was nine, I belonged, with maximum esprit de corps, to an organization known as the Comanche Club. Every schoolday afternoon at three o’clock, twenty-five of us Comanches were picked up by our Chief outside the boys’ exit of P.S. 165, on 109th Street near Amsterdam Avenue. We then pushed and punched our way into the Chief’s reconverted commercial bus, and he drove us (according to his financial arrangement with our parents) over to Central Park. The rest of the afternoon, weather permitting, we played football or soccer or baseball, depending (very loosely) on the season. Rainy afternoons, the Chief invariably took us either to the Museum of Natural History or to the Metropolitan Museum of Art. Each day’s session concludes with another episode in the Chief’s story of The Laughing Man, “a story that tended to sprawl all over the place, and yet it remained essentially portable. You could always take it home with you and reflect on it while sitting, say, in the out-going water in the bathtub.” I won’t even attempt to summarize the plot of The Laughing Man. Offhand, I can remember seeing just three girls in my life who struck me as having unclassifiably great beauty at first sight. One was a thin girl in a black bathing suit who was having a lot of trouble putting up an orange umbrella at Jones Beach, circa 1936. The second was a girl aboard a Caribbean cruise ship in 1939, who threw her cigarette lighter at a porpoise. And the third was the Chief’s girl, Mary Hudson. Among other things, Mary turns out to be an excellent baseball player, despite her insistence on wearing a catcher’s mitt while playing right field. Her story and that of The Laughing Man start to overlap — and I won’t be providing any spoiler on this one. In addition to the dialogue (which leaves every impression that you are overhearing real conversations), it is those asides — like the three great beauties the narrator remembers from first sight — that are part of the appeal of these stories. Yes, they all have their weird aspects (and that has its own appeal) but those all occur in the context of readily identifiable, and sympathetic, reality. I would say that that is the reason that I don’t so much remember the stories as enter into them each time that I pick them up. I apologize for going into detail on only two stories, but I find it impossible to summarize a Salinger story in just a paragraph or so. Trust me, I could go on at this length for every one of the remaining seven stories because every one is good. The characters in these stories are both gentler and scarier than Holden Caulfield and his story in The Catcher in the Rye. Every one of the stories has its own appeal; the volume is a testimony to a truly great writer. While many readers and critics find fault with Salinger’s obsession with the Glass family which is still to come in Franny and Zooey and Raise High the Roofbeams, Carpenters and Seymour, An Introduction , I find these stories both an excellent introduction and an extraordinary achievement in themselves. I’ll have more to say on the two Glass volumes in a few days.